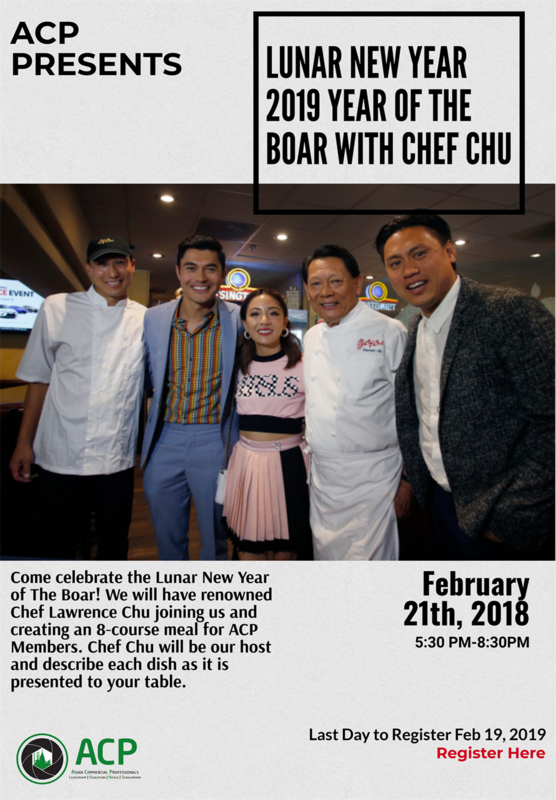 Come celebrate the Lunar New Year of The Boar! 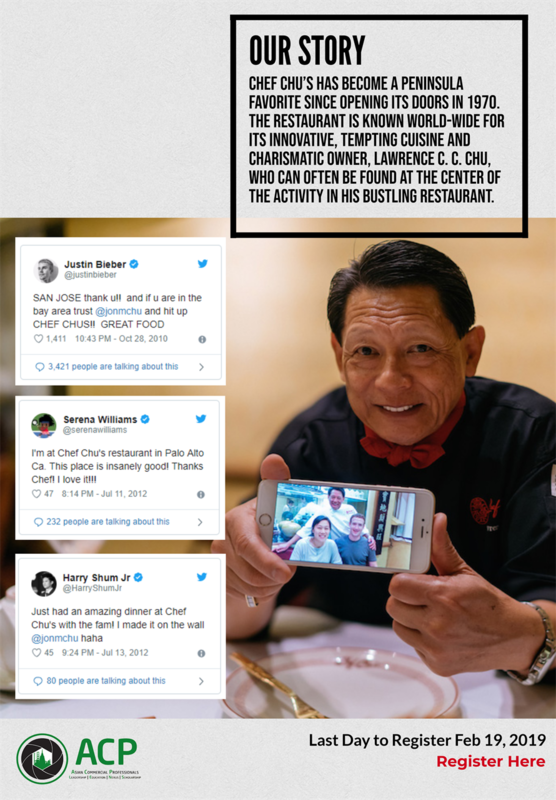 We will have renowned Chef Lawrence Chu joining us and creating an 8-course meal for ACP Members. Chef Chu will be our host and describe each dish as it is presented to your table.